Enermax has released some information on their latest updates to their Power Supplies, Cases, Coolers, Fans and other products for Computex 2018, Lets get straight to it. 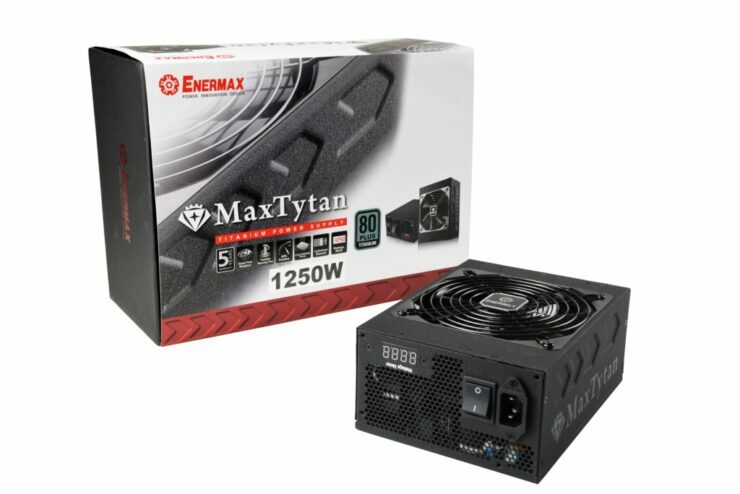 Enermax starts with the top of the line 80 Plus Titanium Certified PSU the MaxTytan which is their highest end PSU and features their patented Dust Free Rotation technology for the PSU fan to perform self cleaning which can prolong the lifespan of the product and enhance stability. 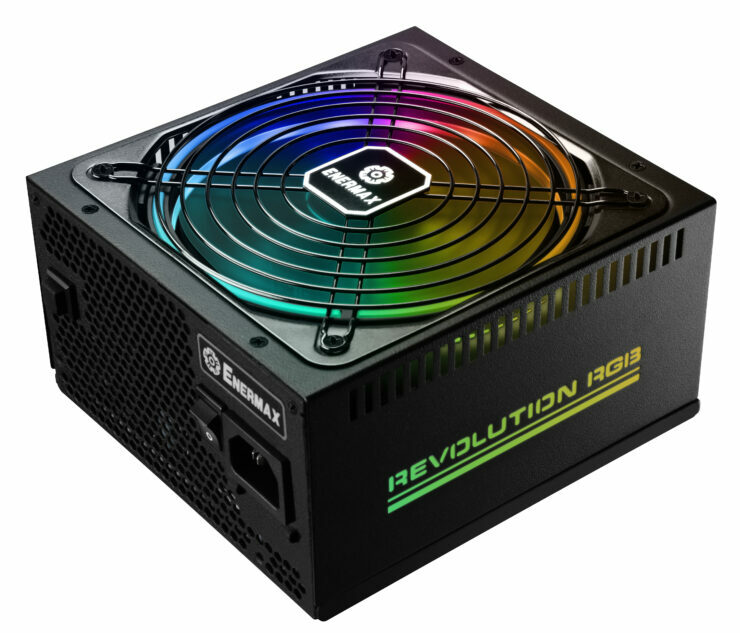 It is a fully modular PSU and like modern GPUs the fan won’t turn on unless the load reaches 60% or above and will be dead silent. 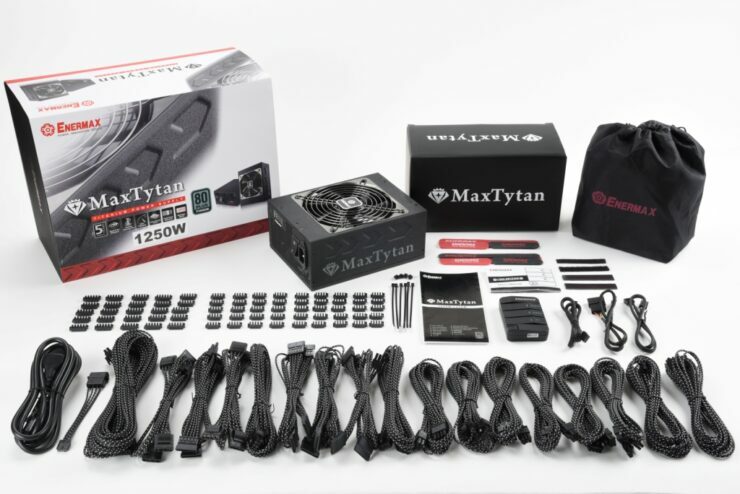 MaxTytan comes with premium SLEEMAX modular cables to help facilitate installation and cable management. Dropping down one level on the tiers Enermax also has its Platimax D.F. 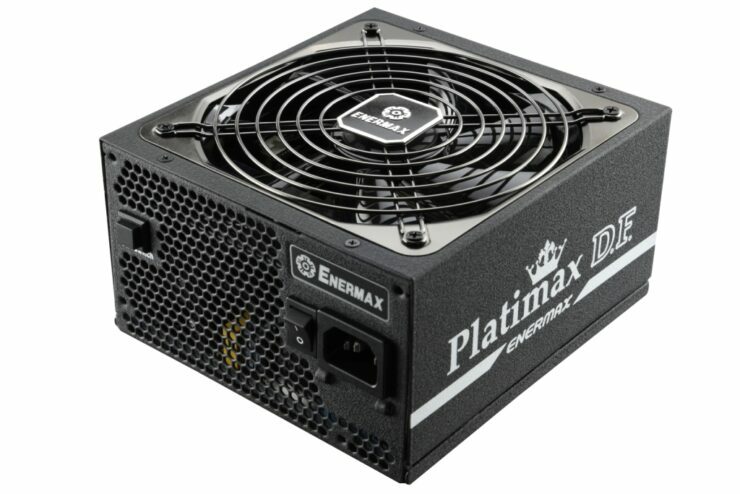 Models which are 80 Plus Certified platinum PSUs and are built with the same Dust Free Rottation fan technology for self cleaning and has a manual switch to allow users to activate the function any time during operation and has a 30-40% fanless design like the MaxTytan but the fan operates at anything above 30-40% depending on the model. 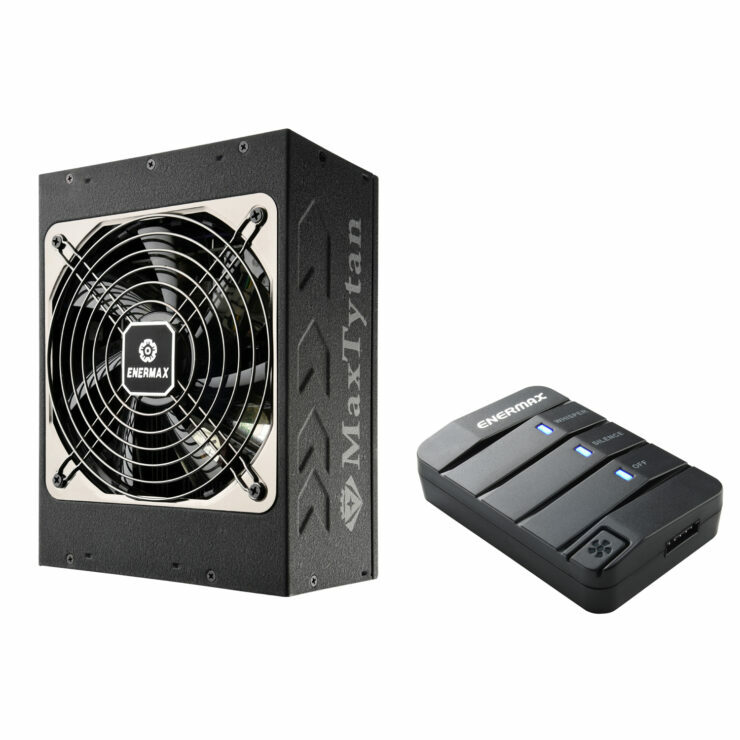 It includes the same SLEEMAX modular cables for premium individual sleeved cables and finally is only 16CM in depth making it the most compact 1200PSU on the market. 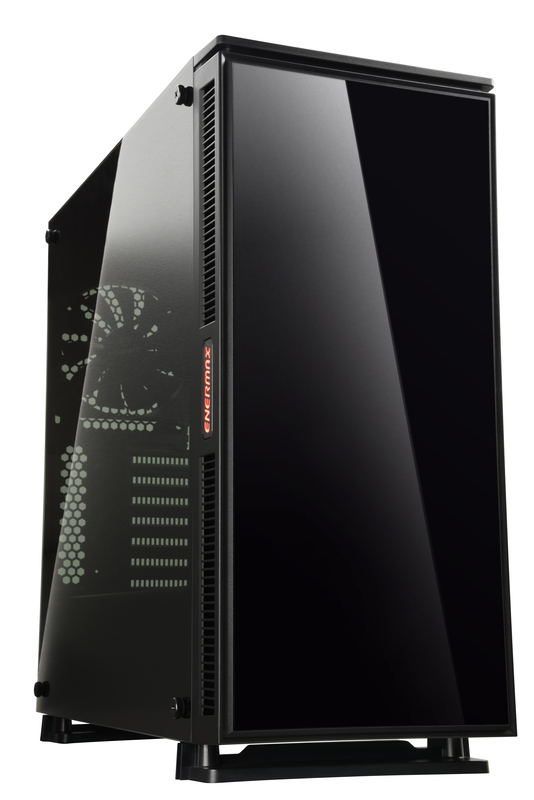 Enermax also includes the thing everyone has been talking about and showing off the past few months which is you guessed it, Addressable RGB LEDs. It’s 80 Plus Gold and packs full motherboard RGB sync, it is currently unknown what capacities it will be available in and we are unsure when it is releasing. 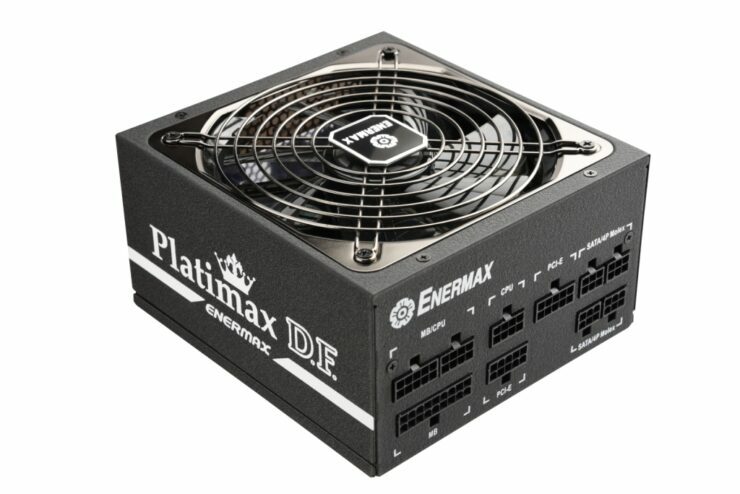 Stepping down a bit Enermax also has their Revolution D.F. models which is also 60Plus gold features the same Dust Free Rotation Technology and switch seen in the platinum version and includes a twister bearing fan with a 30-40% semi fanless design seen in the other models and can deliver full rater power at an ambient temperature of 50C. Pricing and availability are also unannounced. 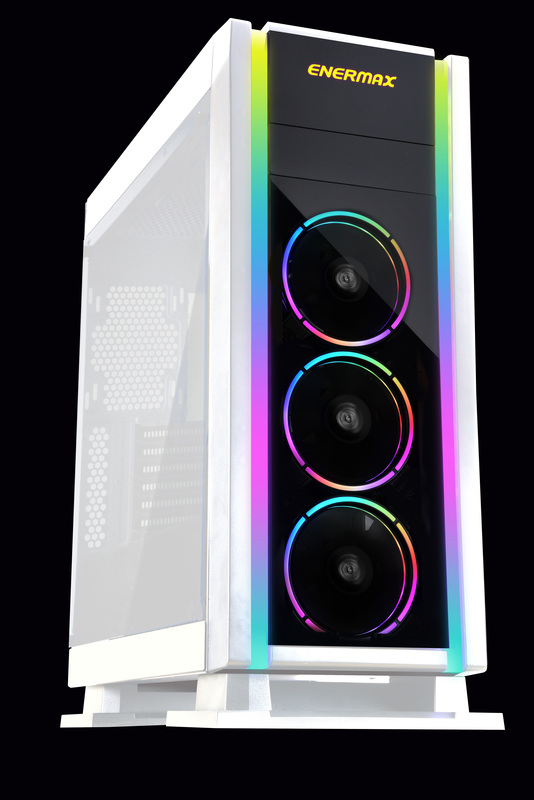 They have also shown the Ostrog ADV RGB case which is the RGB version of their Ostrog ADV one of the best-selling gaming chassis from ENERMAX. OSTROG ADV RGB supports the addressable RGB lighting synchronization with addressable-RGB-ready motherboards. Together with brilliant lighting strips and 3 Rainbow RGB fans, OSTROG ADV RGB can demonstrate vivid rainbow lighting effects. 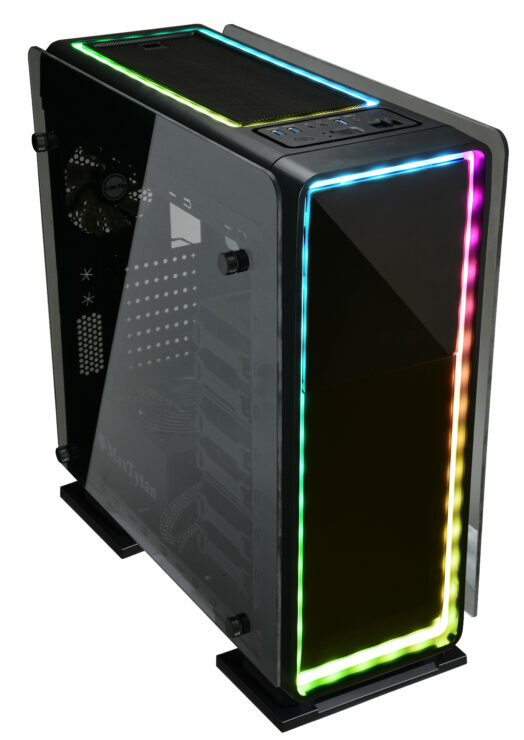 Furthermore, OSTROG ADV RGB has dual-side tempered glass windows for users to show off their precious rigs. Last but not leat, OSTROG ADV RGB supports USB3.1 Gen2 Type C, providing users the faster data transfer possible over USB. 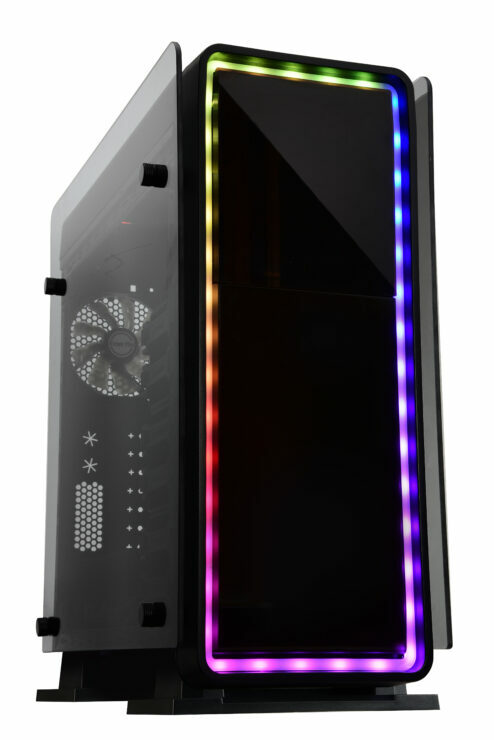 EQUILENCE is a high-end, silent computer chassis. Unlike most traditional silent cases, EQUILENCE comes with 4mm ample panoramic tempered glass for users to show off their precious rigs. With silence measures on each side, such as high-density insulation foam on the front, right, and top, and rubber seal on the glass side panel for great air seal and reduce vibration. 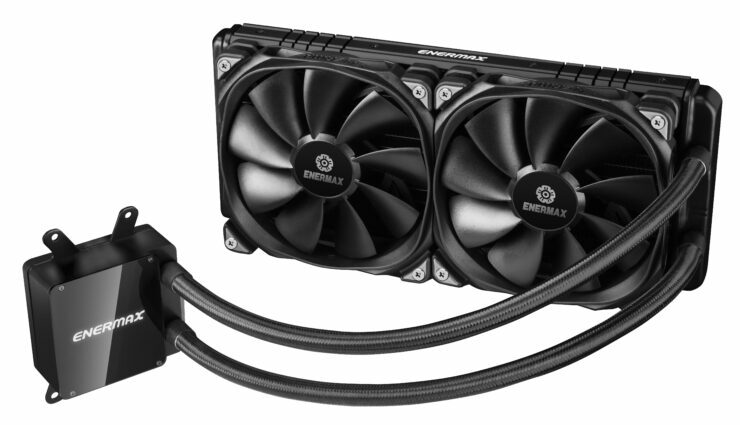 LIQTECH II is the new flagship all-in-one liquid cooler from ENERMAX. 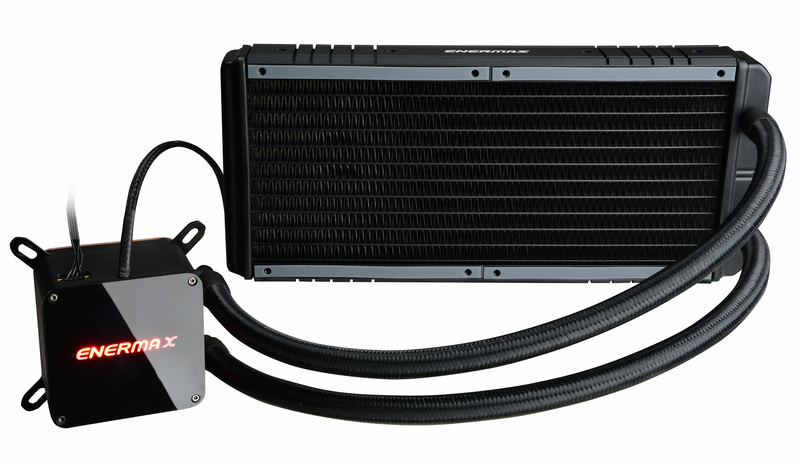 The high-performance cooler series incorporates the powerful ENERMAX EF1 pump, delivering incredible high flow rate up to 450 L/h, which is 7 times powerful than other AIO coolers. Furthermore, LIQTECH II adopts the Shunt-Channel-Technology (SCT) to boost thermal conductivity and eliminate heat surge. 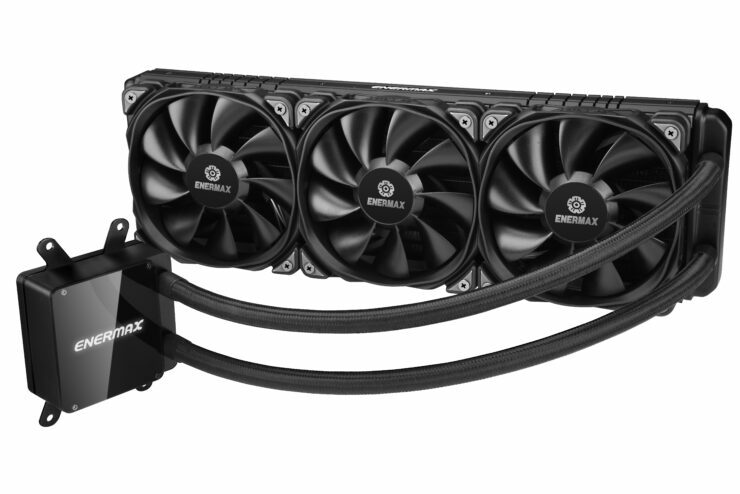 LIQTECH TR4, the closed-loop liquid cooler, is tailor-made for the top-end enthusiast AMD Threadripper CPUs. 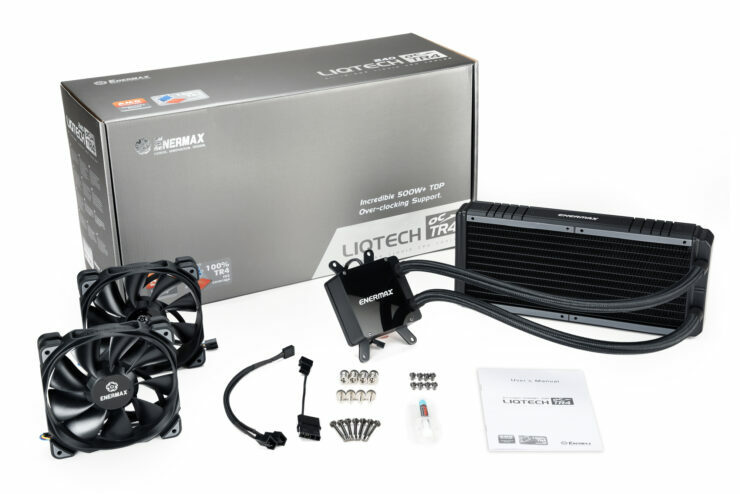 LIQTECH TR4 is the 1st and only AIO water cooler with a base plate that 100% covers the integrated heat spreader (IHS) of the AMD’s massive processors. 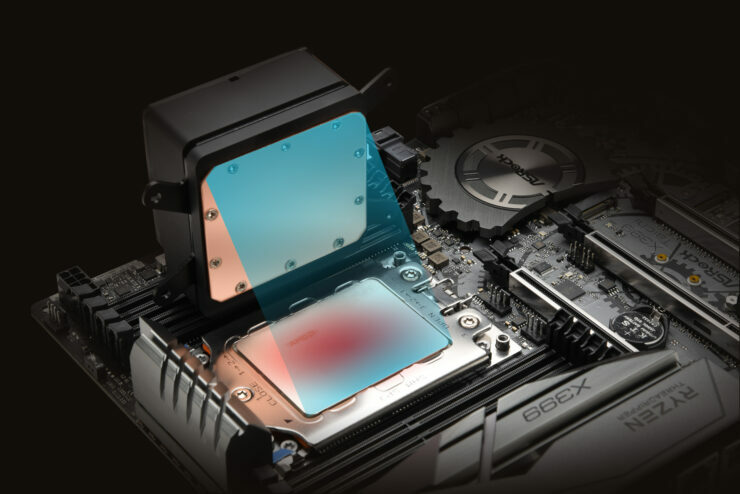 In addition to the unique base plate, LIQTECH TR4 features the patented Shunt-Channel-Technology (SCT) cold-plate design and the exclusive EF1 pump with super high flow rate (up to 450 L/h, which is 7 times stronger than its peers), to deliver unbeatable 500W+ TDP for heavily overclocked CPUs and demanding HEDT systems. They are available on Amazon now for $149.99 For the 360mm, $139.99 for the 280MM and $120 for the 240MM.